Brexit is the Exit for Justice. The European Union is failing. America follows. When do we call time on the Criminal Bush / Clinton Cabal and the Cohen Mafia? Do we cauterise the rot, or lose the lot? There is often nothing sadder for an experienced Philanthropist than watching the Self Delusional Political Social Climbers, all prepared to sell out whoever, and do whatever, in their self-absorbed greed pursuing a fantasy of their delusional concepts of clawing and ingratiating their way to the top floor where, to their befuddled minds, the secrets of the universe will be revealed to them. Pandora’s box. A lifetime of misguided policies, nations sold out and societies miss tracked. The great secret of the top floor, is simple. It’s empty bar a collective of befuddled life wasted opportunists now self-enclosed, each more lost than the rest, wondering what now, where is the special enlightenment, as each lost Soul grasps the sad irony, that the great or clueless and have now wasted the greatest opportunity of all. Each to put back, and be more at each tier of life, where all and only what matters is to set the standards for each day’s real needs. Opportunities lost, nations mislead. False Leaders have lost their way taking the sheeple with them. It’s on a par with the French Mirage Fighter, never seen in action. Now, with the ensuing Brexit, the die is cast with real consequences. What has been unleashed will be profound. Few still have grasped the will of a free people who said NO! No More. Be assured, what has now been unleashed will be the end of the failed EU experiment. As the might of the British Financial Empire in the City of London refocuses on Global markets, China's own RMB will emerge via the City as a Gold backed secure currency and Bond offering, of such attraction as will unsettle and replace the Dollar. Britain needs a Global amphitheatre to survive, and so it will re-position to succeed. For a small nation which faced down Hitler’s massed military forces and Air might alone for 3 years while the US profiteered and saddled us with 60 years crippling post war debt for saving America from the Nazi war machine which, had Britain fallen, would have had the first Atom bomb, and Nazi rockets would have rained down on America. Brexit is a small challenge in comparison. Brits are survivors and will! Innovation will save the nation. We now have the world as our market and oyster. Plus the UK has culture and vast Global history. It is respected in Asia. This is now a new dawn of opportunity. Without the UK as the backbone of the EU military, and UK Fiscal might driving EU sanctions against Russia, they will collapse and the ever opportunist Russia will both accrue trade deals and a closer union. All will pave the way for the oncoming Eurasia. The ultimate global grand mass power. US policy is now in tatters and free falling. The EU is in free fall. A ridiculous strategy. All it did was fatten Brussels and Strasbourg. In 20 years they could not even negotiate US Trade tariffs. Nor file a set of accounts. Fat cat idiots! Britain is well out and well rid of them. The people spoke - Go! Moscow’s Mayor Sergei Sobyanin sees the new emergent opportunities for Russia, as the EU is its own largest Export market. Without the protection of even the British nuclear umbrella, how many EU nations will continue as stalking horses for US aggression allowing US missile bases within their borders as simple expendable pawns for US Global Hegemony? Reality is dawning. New Political Leadership in the UK, will conclude that Britain and Russia need to work more closely together and to cease being a lap dog of aggressive US Foreign policy. The barriers between the UK, failing EU and Russia will decline. Cooperation, not confrontation. Especially when nations realise the collective need to cease cooperating with US Agency and Cabal policies of regime changes, using such appalling and inhumane terrorist groups as ISIS, armed, trained and unleashed by US Military interests, bringing deaths in millions and displacing 65M poor Middle Eastern and Asian nationals. As UK interests now have to appease new Global empowerment, it starts with listening as an essential step towards rebuilding new political links. 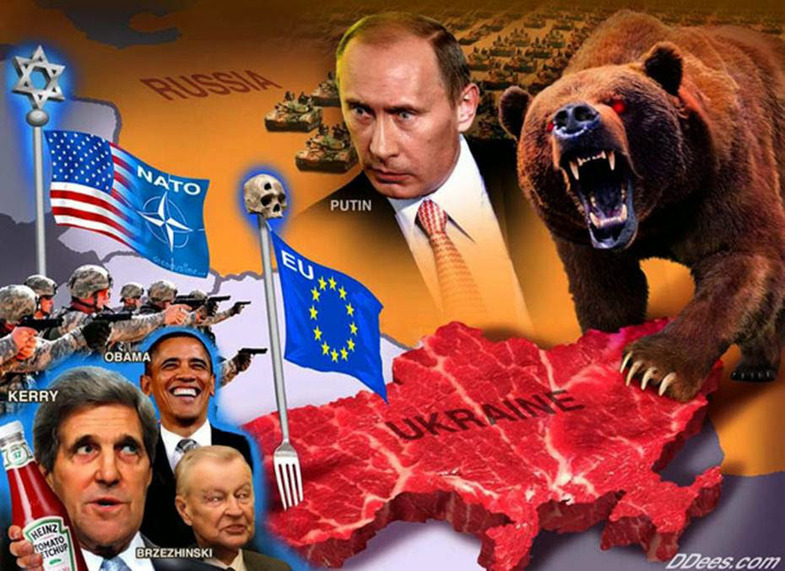 As the EU, Britain and Russia, plus China engage in closer trade beneficial links, how will policies realign when Russia faces down uglier US inspired terrorist aggression seeking illegal regime change in Syria, and Russia atomises America military assets tearing nations apart? Which partner does a nation support, if any? Russia has pounded Fallujah in Syria and its US backed terrorist are in fast retreat. Russia has manned up. And will! Russia and China are dismantling US war zones across Asia. NATO will not last 48 hours in conflict. What then? Give the EU and Zio Driven Cabal Mafia 5 years at best. Huge social, political and economic changes are coming. As other nations also conclude, the brave UK social rejection of failed political grandstanding is also now a necessity for them. This will reverberate across Europe and once one or two more demand a referendum, the whole misguided, incompetent rotten pack will fall. The knives are already now out on Junker and he will go. As will the rest of his unelected Jesuit Mafia. 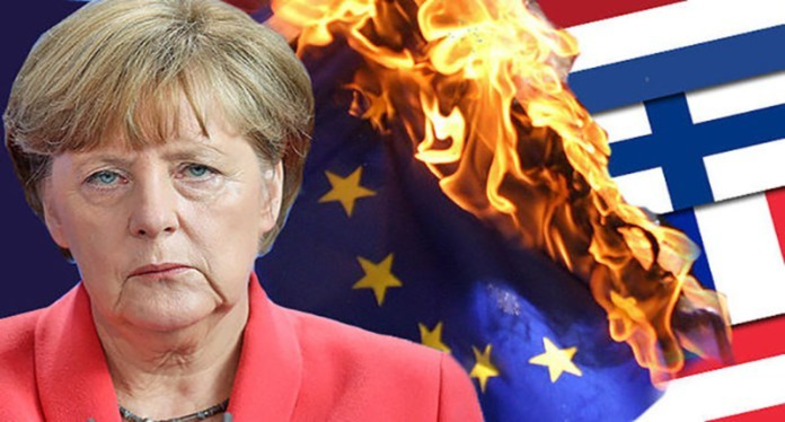 The EU is now a divided, malfunctioning failed Cabal in free-fall. How long can this befuddled failure last? Germany has no Fiscal powerhouse such as London. Nor does Paris. 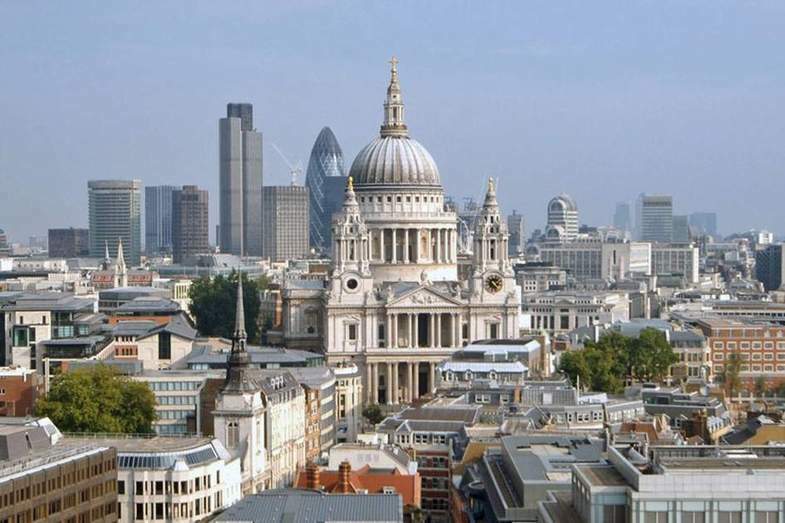 A few Gerries and Frogs rubbing their hands in glee aspiring to take over London’s role are deluded. The Bankers will try running between borders for fast bucks but will fail. Resources needed have settled families and will not follow. Is this the coming time for re-positioning to rethink Banking also? We don’t need Derivatives modeled markets, but finance for growth industries instead. Let’s get back to making real asset wealth, not Ponzi money. Back it with value. 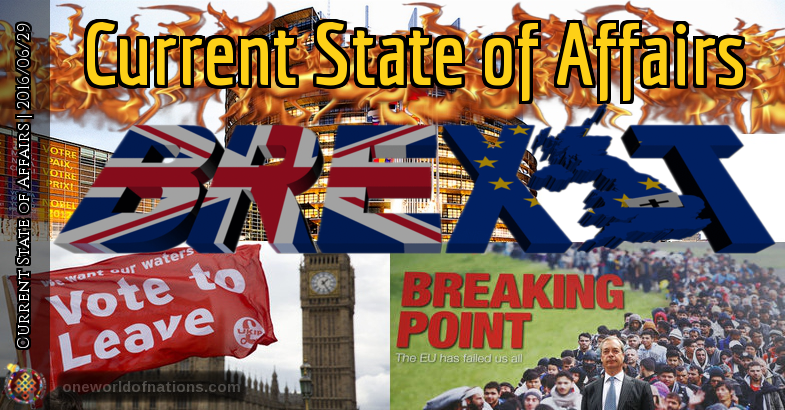 As the British might goes global, the EU will take fright at what is coming. It’s called - Reality, once Old Mother Hubbard empties her cupboard and show the EU and US Cabal it is bare! So now, how to create wealth - by trade? Tension causes wars. Trading partners have a common interest not to fight. Strong economic powers soon deal with Political misfits. China understands this and is buying up ever greater global assets, resources and trade interests. China's might has become economic. Russia follows, but both have a strong military pact also to joint defend against US aggression. They share R & D, Military assets and joint train in War Games. They know the fight is coming. They know totaling America may be the cost. America continues its No Win policies already exposed as failing. Every dollar wasted on needless US lies, another innocent human dies. Why not the rapacious Cabal instead? Where is Justice in America? Will Americans now only become Enlightened at the moment of being Atomised in conflict? Will we all die for the Zio Cabal lie? As with Brexit - We say No! The die is now cast. British people just told their 'out of touch' Leaders no more! America's entire EU strategy now lies in tatters. As does its malfunctioning Fed and White House policies. The Anglo American banking powerhouse just walked. A brave new world beckons. In 5 years nothing will be as now. Will the EU even survive it? In Holland, France and even Germany itself, the demand for new and better representation in each nation is growing. The people are now awakening and seeing their own Naked Emperors for what they are. There is no going back, and the Sovereign Will of the people will not be left behind. One more EU nation withdrawing and the lot will fail. No one ever wanted a Federal Europe as all knew it would become a Feral State like America today. 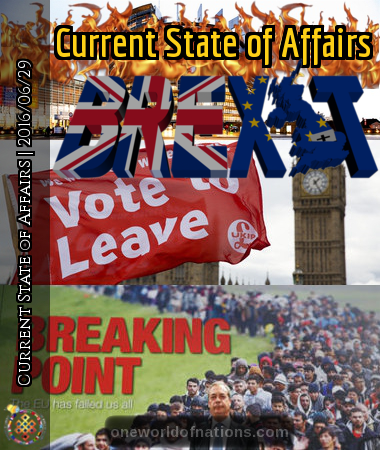 As Europe and the new world wake up post Brexit, what will all see, then do? We wish all our good Allies in Europe and America true Democracy, recovery of your nation, a recovery of your Constitutional Rights, and a combined Global awakening of the true corruption imposed by this Zio Trash Banking Cartel, with the will to work together to reject and dismantle the lot of them. For Americans to rip these Zio Rat weevils out of the US Treasury and Federal Reserve, and post the impending collapse of the Bush Neocon Republican party, to have a strong and Patriotic new President able and willing to impose a full Congressional Inquiry into the crimes of the Bush, Clinton and Obama Presidencies, and all the supporting officials who abused their tenure of office also. How can mankind go forwards unless we address and prosecute the past? Why should they escape retribution for their oh so many crimes. Overturn all Presidential pardons. Invoke RICO actions on all of them. 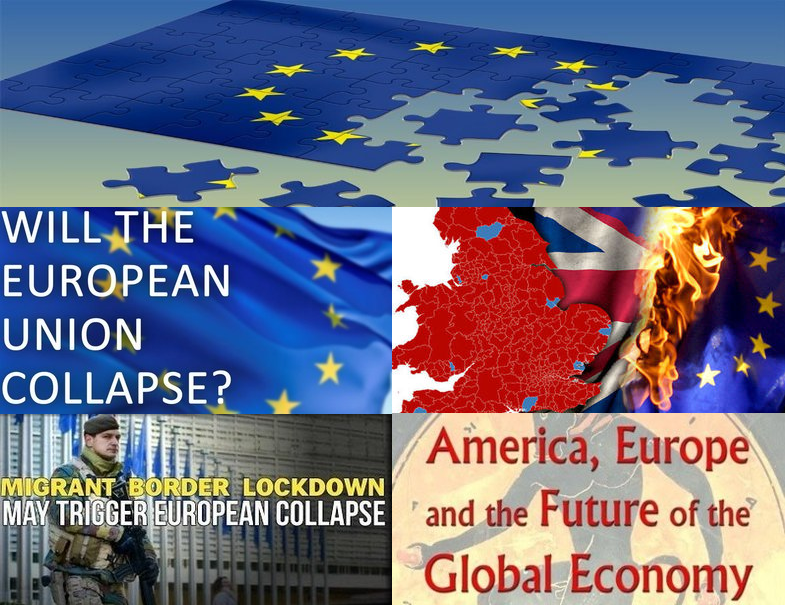 If the Brits can face down Europe, when will America face down the Cabal? What happens if the EU fails now? The smart Brits are walking. Why not others. Why be ruled by fools? 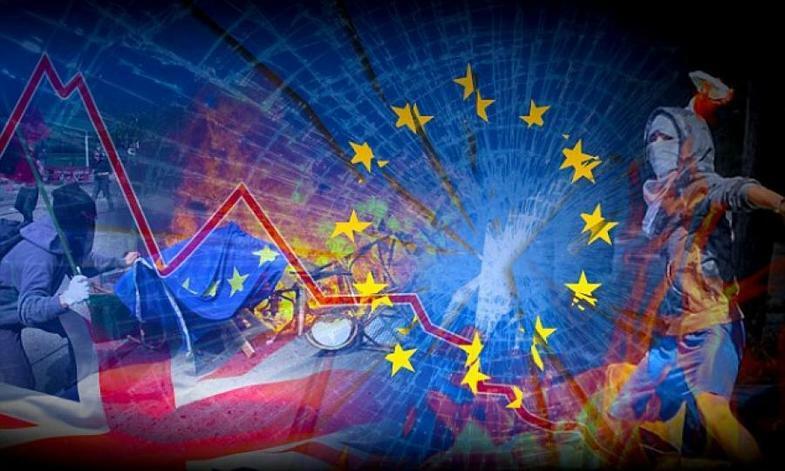 If the EU goes, NATO goes, and with it all US European controls, bringing the Fed down with it. You wonder why the Brits are jumping ship and running for Asia? Obama destroyed America's special relationships, and what follows will be the end of its Empire. All Empires - End! The UK is now bridge building the future without America leading. What now America? What now for the EU if France goes? What now for the Banks if the lot goes? Smart Britain sees it all. Now we just have to put backbone behind our Poiticos. Dropping sanctions against Russia would be a strong signal that Britain wants an improved relationship with Russia based on trade and cooperation. Withdrawing troops from NATO exercises on Russia's borders in Eastern Europe would demonstrate that Britain desires peace. No longer demonising Putin and falsely accusing Russia of crimes it did not commit, such as the shoot-down of MH17 or the murder of Alexander Litvinenko, would go a long way to healing the rift. In the 70's and early 80's I drove around much of Europe with my fiancee. We "dined-out" in all the best places - inside my yellow 2CV with the vinyl sunroof down, listening to Pink Floyd. Best car I ever had; with a two-stroke air-cooled engine it could do 70 mph downhill with the wind behind it. That was before the fall of the Berlin Wall and the end of the cold war. I dreamed that one day, we would be able to drive on along the autobahn to Berlin and beyond, to Warsaw and Moscow. I love the countries of Europe. The EU is not Europe; the EU is destroying Europe.